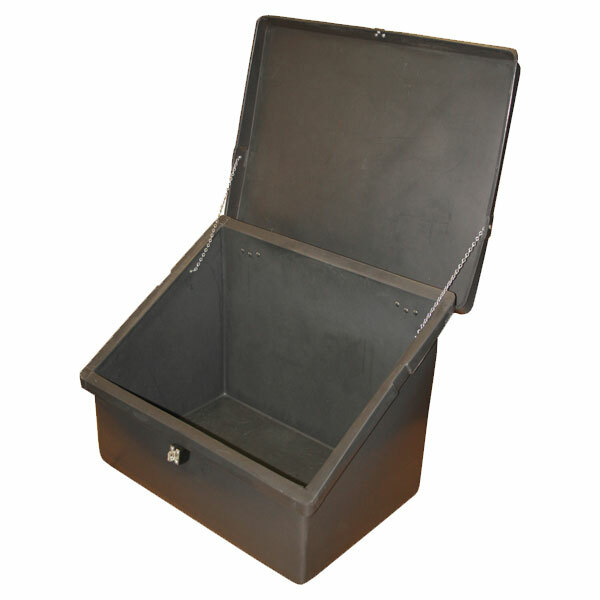 The SB Series SB5-544 Indoor Outdoor Small Storage Bin is a storage bin suitable for interior or exterior applications. Seamlessly molded, leak proof, crack proof, resistant to temperature extremes, UV and corrosive agents. Stainless hardware, ships fully assembled. Fork and pallet jack access. Optional dollies with four-inch, swivel casters. 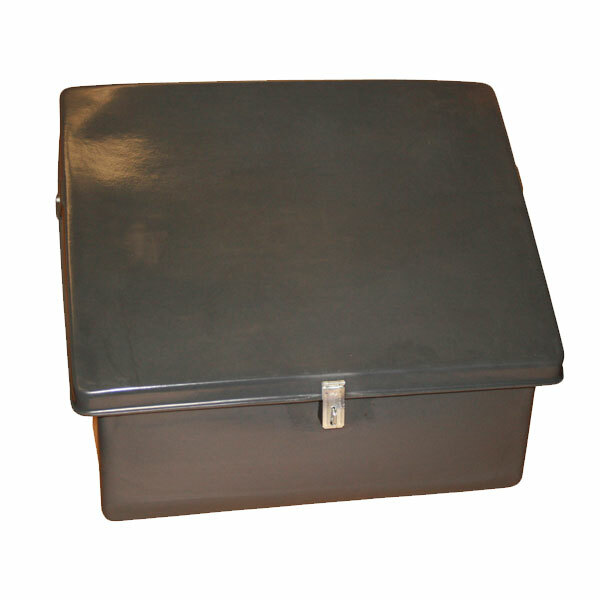 Polyethylene resists mold and mildew, easy to clean, heavy duty, provides years of service life. 5.5 cubic foot model. Outer Dimensions (OD) (LxWxH) 32 x 24 x 25"